The bully. The unmotivated student. Culture shock. Consequences. 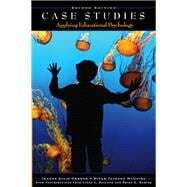 These are just four of the forty-eight cases in this powerful casebook, designed to provide readers with rich experiences and ample opportunity to understand educational psychology and its principles in action. Now in its second edition, this popular book contains classroom scenarios (based on true classroom experiences) that illustrate a wide variety of phenomena related to development, learning, motivation, diversity, and classroom practice. Accompanying each scenario are questions encouraging readers to look beneath the surface of classroom events and consider how various concepts and theoretical perspectives might enhance understanding and offer possible strategies and interventions. Ideal for discussion, debate or self-study, the book provides a realistic look at how educational psychology applies to todayrs"s PreK-12 classrooms.